MOTORESS® is a worldwide online motorcycle magazine for the woman rider enthusiast. We provide expert resource on all aspects of the motorcycling and motorsport lifestyle in terms relevant to women. 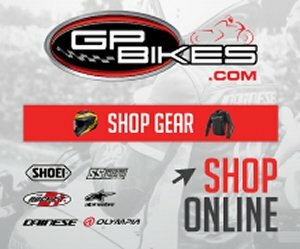 MOTORESS® content and access here is free. We believe education – the what, why, and how in motorcycling is foremost. “The more you know the better it gets” – is one of our credo. We’re devoted to MOTORESSes; to #womenwhoride of all ages, all forms and styles of riding. We give you the insider’s guide to a woman rider’s total motorsport lifestyle – helping you get all you need to enjoy motorcycling to its fullest. We had our start in 1998 as the first ever online website for women motorcycle riders, then called RACEGIRL MOTORSPORT. Our start as a non-profit European rooted community, aimed to encourage women in motorsport around the world; to advance and develop the presence of women in all aspects of motorcycling while encouraging greater awareness of women in motorcycling. “MOTOR” is the Dutch word for “motorcycle”; and “ESS” the feminine suffix. Yes, we’ve been doing this for over two decades that’s twenty years! This makes us the longest running community for women motorcycle riders in the world. We’ve continued to evolve as the most innovative, respected and trusted leader within the women’s rider segment of the motorcycling industry. And our story of women, of motorcycle culture, of what is worth knowing and seeing is a valued resource not just for riders, but for the motorcycling industry at large. As the eye of the female motorcycling industry, MOTORESS® provides the content and tools to connect and inspire women riders to take charge of the handlebars; to chart one’s own route and become her best self in motorcycling. The number of motorcycles owned by women in 2014, is 14 percent, a 50 percent increase over the last 10 years. Nearly 25 percent of people who swing a leg over a motorcycle are female, this includes passengers, which means at a minimum 25 percent of purchases are made or highly influenced by women. The powersports industry is estimated to be a $23 billion industry, and women are responsible for $6 billion plus in industry sales. Women feel a sense of empowerment and pure exhilaration in the freedom riding brings to their lives. Research shows that women find riding as a “form of therapy”; a way to break free from the pressures and obligations that so many women face today as working mothers, executives in business and as wives. MOTORESS® provides the content and tools to connect and inspire women riders to take charge of the handlebars; to chart one’s own route and become her best self in motorcycling. Stay up-to-date with #MOTORESS join us on Facebook, Twitter and Pinterest – and subscribe to the Newsletter! What year was MOTORESS Introduced? MOTORESS was formerly known as RaceGirl Motorsport, a non-profit started by Vicki Gray in The Netherlands, in 1998. RaceGirl was rebranded to MOTORESS and relaunched in 2005. 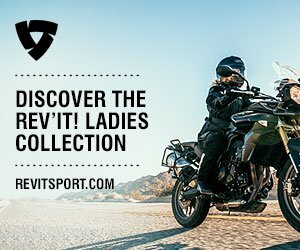 Is MOTORESS Just for Women? First and foremost, MOTORESS is an online international women’s motorcycling magazine. However, our content such as “how to”, riding techniques and reviews are equally enjoyed by men. Women Around The World Ride!